Filled PTFE & Filled Teflon Compound - PTFE-Mart Inc.
Fillers increase the hardness of PTFE and reduce cold flow or creep. Tensile strength and elongation usually are reduced depending on the filler type and percentage. Filler increase thermal conductivity. Fillers also reduce liner coefficient of thermal expansion then increase thermal dimensional stability. Some filler increase electrical conductivity. Fillers reduce wear rate and friction. 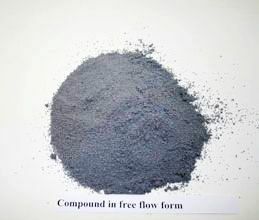 All above grades can be supplied in the form of free flow and non-free flow. Besides above standard grades, any type and percentage of filler or pigmentation are available upon your request. We assure you of our best service and most competitive price.